Philip Larkin was born in England in 1922 and died in England in 1985. He lived most of his life in England. I discovered Philip Larkin by myself. No one introduced me to his work and he was never covered in any course I took. 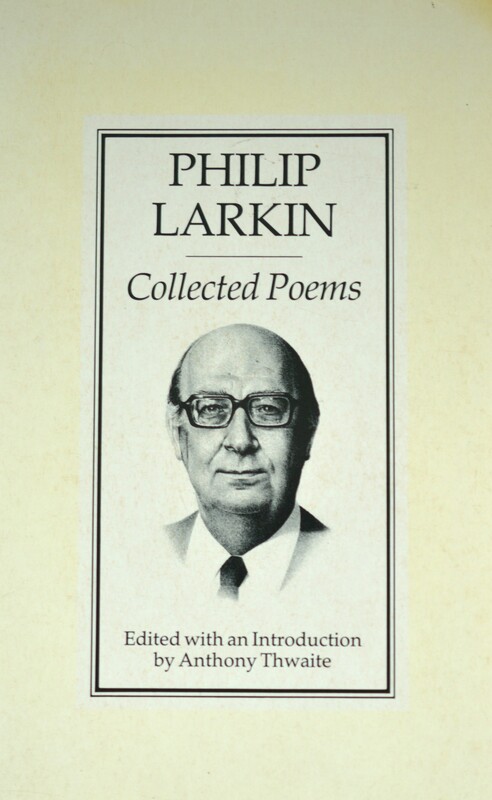 Before I bought this volume I hadn’t read a single poem by Philip Larkin. I was curious about this crazy looking bump-head with the coke-bottle glasses. He looked so, I don’t know…. Official. Straight-laced. Conservative. His work is anything but. 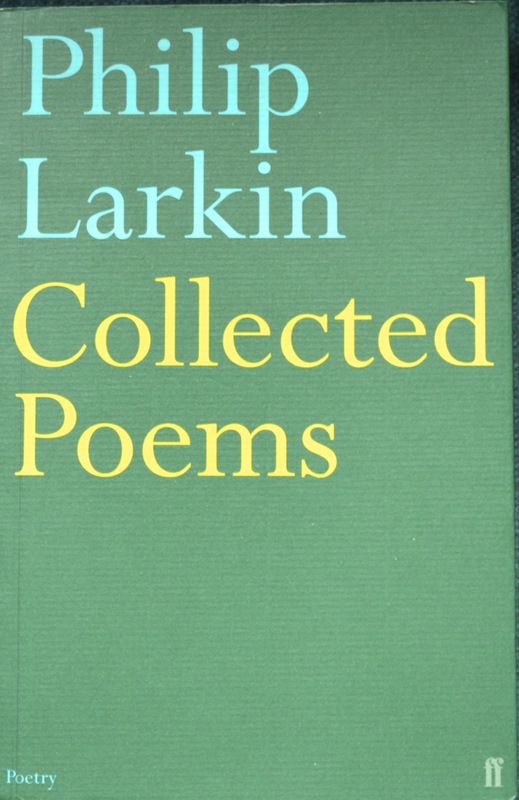 I read a few poems and got interested in Philip Larkin. I read one of the two novels he published in his twenties – “Jill.” I found it a very impressive accomplished novel for a guy who was only in his twenties. I went back to the poetry. If you didn’t like the use of the word “f**k” and its derivatives in a poem in 1967 Philip Larkin wasn’t for you. He didn’t care. He’d worked as a small town librarian in post-war England. He was educated at Oxford University. He worked at Queen’s University, Belfast. He was a close friend of Kingsley Amis. “Collected Letters” edited by Anthony Thwaite, published in 1992 by Faber & Faber is a great read. Great biography too by Andrew Motion published by Faber & Faber in 1993. Janice Rossen wrote a great appreciation of Philip Larkin’s work published by University of Iowa Press in 1989. These are just the books I’ve read. I see there’s a massive new biography of the poet by James Booth, just published by Bloomsbury Press. I recall one memorable passage from the Andrew Motion bio where Philip Larkin finds himself under the necessity of asserting the rights of authors against some publishing scheme. Others called him a curmudgeon, misogynist and worse. He edited the Oxford Book of Twentieth Century English Verse. For years he wrote about jazz. He published his columns in “All What Jazz”, published by Faber & Faber. He published “Required Writing”, a collection of his occasional pieces, published by Faber & Faber. He was Head Librarian at Hull University in England from 1955 until his death. He never married. There were no kids. He had a long term relationship with Monica Jones. They were living together at the time of his death. “Letters to Monica” was published by Faber & Faber in 2011. I would say that Philip Larkin was singularly unimpressed with many things. Many other things impressed him deeply. His poems have attitude, wit, beauty and form. This entry was posted in Certainties and tagged Alice MacKay, Faber&Faber, Philip Larkin. Bookmark the permalink. I’ll be giving PL’s Collected Poems a read. Thanks for shining a light on him. Thanks for pointing that connection out. I’ve got work to do re Mr. Cave. Haven’t looked into him much.